Author Amy Boyd wants to empower people to take charge of their personal mental and physical health with doTERRA Essential Oils. In this article she explains how we can harness the power of nature to cleanse our home and our bodily environment. In the lead up to Christmas and New Year’s Eve, it’s all hustle, hustle, hustle. Do you get to Christmas day and stop in a great pile and realise you haven’t taken a breath for a few weeks? We have all experienced our time, money and sanity go into getting things done for the holiday season, and quite frankly, we are a mess afterwards. Often what follows is a vow to clean up our act in the new year and never get into this state of chaos again. Every year I end up in the same mess, but last year was different. What did I do differently in 2018? I tweaked a few little things, gradually over the course of my year with the help of my toolkit of doTERRA essential oils. Here’s how essential oils helped me on my journey to a chemical-free, healthier lifestyle that you can apply for you 2019 journey and beyond. What Are doTERRA Essential Oils and How Can They Help Detox Your Life? 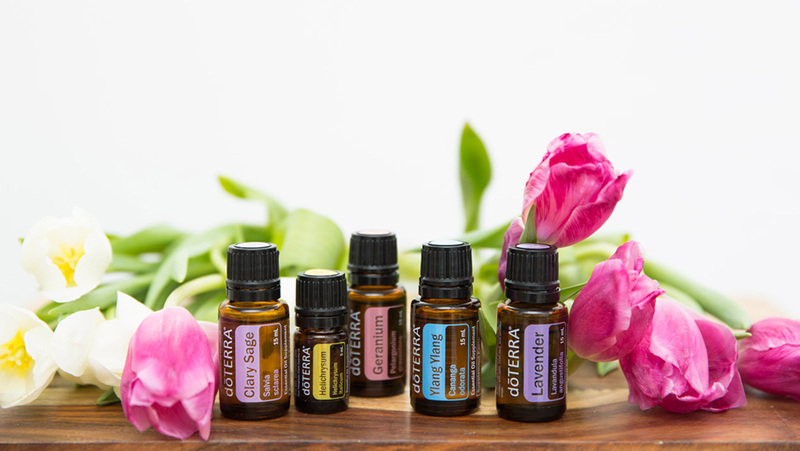 doTERRA is a Latin derivative meaning “Gift of the Earth.” Essentially, essential oils are the immune system of the plant — the volatile compounds found within the bark, seeds, leaves, petals, resin and rinds of plants, extracted and distilled. These tiny organic molecules are the innate intelligence within the plant that keeps it healthy and thriving, protected from the elements, resilient to pests and plague, and serving a variety of protective, reproductive and regenerative purposes. These concentrated compounds can deliver similar benefits to our personal health. These incredibly powerful remedies have been used for centuries and I am making it my mission to help people reconnect with these drops and empower people to reach for natural solutions first; without synthetics, without side effects, without prescriptions and for our futures sake – without a harmful environmental impact. To understand the importance of minimising toxic load lets first discuss how our natural detoxification systems work. A toxin is any substance that causes excess stress to the body. Toxins come from countless sources, environmental threats, chemicals and radiation; including ingredients in processed foods, exhaust fumes, solvents, plastics, pesticides, and harsh cleaning products. Toxic load refers to the volume of these substances that have been accumulated in the body. We are exposed to countless possible toxins every day, many of the interactions being unavoidable, but we can take steps to minimise their effect on our health. Our bodies have a number of different passageways through which it is directly exposed to toxins and several different mechanisms that it uses to deal with this exposure. The three most vulnerable pathways are the lungs, the digestive tract, and the skin. We are directly exposed to toxins through the food we eat, the air we breathe, and anything that contacts our skin. While we have little control over the quality of the air we breathe outside, there are measures we can take to minimise exposure within our homes and support the natural mechanisms that deal with the toxins in our body. Internally, a healthy body hosts bacteria that assist our inherent defence mechanisms in curtailing toxic load. The digestive tract is populated with trillions of microorganisms that collectively form a natural ecosystem. These microorganisms — commonly referred to as gut microbiota, microflora, or friendly-flora — play a significant role in overall health. Without a thriving probiotic environment that fosters the growth of these microbiotas, less-friendly microbes have free reign to stress the gastrointestinal tract. These microflora serve a number of different purposes. The friendly-flora help maintain digestive efficiency, produce enzymes that break down proteins into usable amino acids, help the body produce and metabolise a number of different vitamins, and are key in the transportation of vitamins and minerals through the intestinal wall and into the bloodstream. Without them, several metabolic processes and neuromuscular functions are hindered, nutrient deficiencies arise, and our immune system’s ability to respond to threats weakens. So, what steps can we take to reduce toxins and increase a probiotic environment for our bodies with doTERRA essential oils? Every month I do a room detox where I choose one room in the house and completely rid it of all the stuff. Try throwing out, donating and recycling anything that hasn’t been used for the past six months, only keep the things you absolutely love and do a complete cleanse of the room. An inexpensive, non-toxic alternative to commercial cleaners are essential oils, they will soon become your go-to cleaning agent. Multipurpose Cleaning Spray: 20 drops Onguard Protective Blend, a dash of white vinegar, top up with water in a glass bottle. The Onguard blend includes wild orange, clove bud, cinnamon bark, eucalyptus, and rosemary. These oils are extremely effective in killing pathogens within the air and on surfaces. White vinegar has naturally occurring anti-bacterial and antifungal properties. Mold Be Gone Spray: 10 drops Onguard Protective Blend, 10 drops Tea Tree Oil, 5 drops Oregano Oil, a dash of white vinegar, top up with water in a glass bottle. The Tea Tree plant grows in the swamps in Australia; the environment is humid, mosquito-ridden and moldy. The extracts that protect the plants in these environments can be translated into our homes and we can use the plants to keep our homes free from bugs and mold. With a clean, fresh, citrus aroma, lemon is known for its purifying properties. Lemon has distinct cleansing and deodorising characteristics, Lemon Oil also has the ability to aid in digestion and support healthy respiratory function when taken internally. A few drops of Lemon Oil inside a glass of water is a wonderful start to the day (and it doesn’t ruin the enamel on your teeth like lemon juice). Kick the chemist to the curb — modern medicine should be saved for when we really need it. We can take our daily health into our own hands with natural solutions. Digest Zen Blend for digestive harmony: DigestZen is a wonderful companion to aid in the digestion of food, soothe occasional upset stomachs, and reduce uncomfortable gas and bloating, supporting your body systems to get back to homeostasis and functioning optimally. Easy Air Blend for anything respiratory: A remarkable blend of essential oils including Laurel Leaf, Peppermint, Eucalyptus, Melaleuca, Lemon, Cardamom, Ravintsara, and Ravensara. Easy Air maintains feelings of clear airways and easy breathing while minimizing the effects of seasonal threats. A great blend for the in-home diffuser. Oregano Oil for immune support: Oregano can be taken to support the immune system. In addition to being a popular cooking spice, Oregano also supports healthy digestion and respiratory function when taken internally. Deep Blue Blend for soothing and cooling: Wintergreen, Camphor, Peppermint, Ylang Ylang, Helichrysum, Blue Tansy, Blue Chamomile, and Osmanthus work together to soothe and cool. Lavender Oil: In ancient times, the Egyptians and Romans used Lavender for bathing, relaxation, cooking, and as a perfume. Its calming and relaxing qualities, when taken internally, continue to be Lavender’s most notable attributes. Peppermint Oil: Peppermint has strong emotional benefits. It’s popularly used to reduce sad and anxious feelings, calm emotions, soothe away tension, and relieve restlessness. Diffuse or inhale Peppermint when you’re feeling tired, anxious, or unfocused. Frankincense Oil: Because of its emotional and spiritual effect, the high vibrational aroma of frankincense oil is commonly used in prayer and meditation, helping a person drop out of their mind and Ego and move into presence with their spirit or centre of consciousness. It is critical that the oils you choose for your family are 100% pure, organic and rigorously tested to confirm they are free of pesticide or herbicide residue, weeds, synthetic fillers, imitation oils, carriers or any other forms of adulteration. It is also paramount you learn how to use these oils safely (most brands of essential oil cannot be taken internally), therefore I invite you to come to a class and learn more about how these oils can change your life. Start your journey toward better health, calmness and clarity in 2019 with doTERRA essential oils. For more information on how doTERRA essential oils can help detox your life, please email amyaboyd@gmail.com.